AFX has been providing Title Reports to various Government Agencies since 2007. 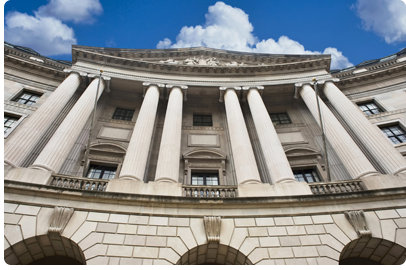 We have provided thousands of reports nationwide for our government clients. We offer competitive pricing, excellent turnaround time and our reports are guaranteed to be accurate. We can provide any type of title reports required, and will gladly customize the research to your specific requirements. The most commonly requested title report from our Government clients is a Current Owners Search, for which we verify the current owner on the property, and check for any open encumbrances, such as mortgages, taxes, liens, and judgments. AFX is set up in the SAM.gov and IPP.gov systems. AFX has pre-negotiated and standardized prices for Title Searches nationwide. If you need to put together a purchase order for Title Search or place an order and pay by Government Credit Card, please contact us at government.contracting@afxllc.com.